On Friday I went and had my second round of treatments and facials with Urban Skin & Beauty. It's about a month after I had my first round of facials. I wrote about that here. In our second session Nicole did a hydrafacial as well as an LED treatment. 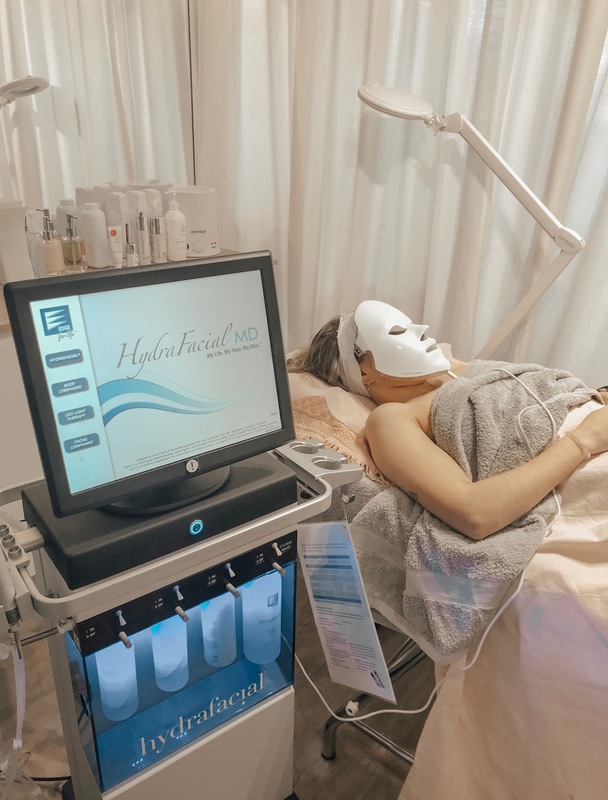 Nicole likes to describe Hydrafacials as "microdermabrasion on steroids" as it offers so much more for your skin than just surface exfoliation. The first step involves deep cleansing and exfoliation to uncover a new layer of skin on the face. The little Hydrafacial wand felt nice and kind of funny. But not uncomfortable at all, in case anyone was unsure. It's a quite gentle procedure overall. The second step has a salicylic and glycolic peel to loosen impurities within the pores for a more gentle and painless extraction. The final step effectively delivers powerful antioxidants and peptides into the skin for immediate hydration. This procedure is perfect for all skin types and gentle enough for even the most sensitive skin. There is literally no redness or downtime. Hydrafacials can address numerous skincare concerns you might have like. Last but not least, Nicole used the LED Treatment mask. We did a combination of the red and green light. Each one stays on for a certain amount of time, before switching to another colour. I'm not sure how long exactly as I'm just chilling in the mask not looking at the clock. The red light in the mask stimulates collagen production and elastin in the skin and increases hydration. 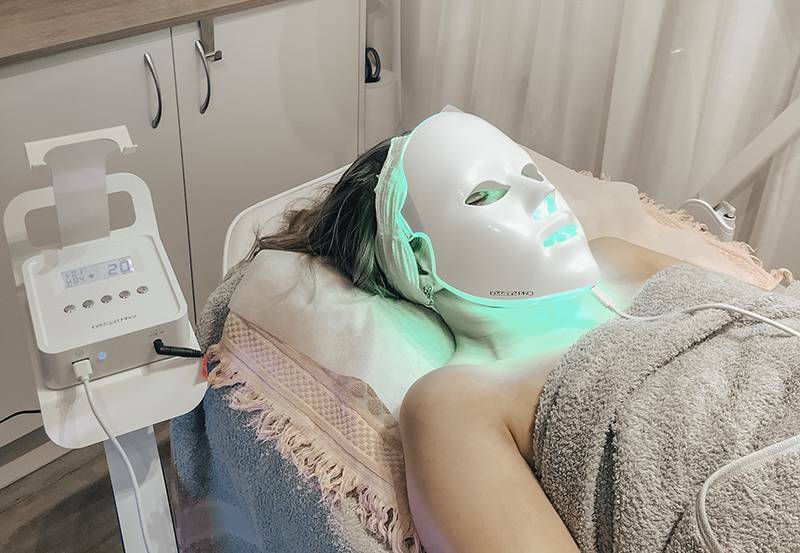 The green light increases the overall healing process of the skin. You can book any and all of your treatments at Urban Skin & Beauty online if you're interested.